Diwali or Deepawali is most popularly known as “Festival of Lights”. Diwali is auspicious occasion of Hindus. This festival lasts for five days. Diwali start from Dhan Teras and ends on Bhai Beej. This year we have diwali on Sunday 3rd November. On Diwali people wear new cloths, decorate their homes, share sweets and burst firecrackers with family and friends. People celebrate this festival with full of joy. For many people diwali is shopping festival and they look forward for discount offer or sale to save money. 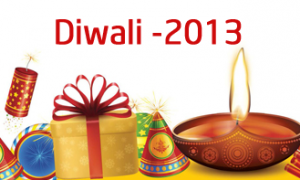 We are herewith best discount offers and bumper sale details of Diwali 2013. Samsung is running Samsung home happy home scheme from 28th Sept to 10 Nov,2013. Samsung offers free galaxy tab, free airtrack & free BD player on purchase of flat panel television. Apart from this you can expect 1000 Rs/- cash back. If you are planning to buy Samsung air conditioner you can avail benefit of getting free galaxy tab and double scratch offer. On other home appliances you can expect Free steam iron and free galaxy tab. On purchase of LG 3D smart TV you can get free 3D camcorder, free 3D USB and special finance offer. LG slim TV can bring free LG DVD. On LG Air conditioner you can avail finance benefit. Videocon brings discount offers on Television, Fridge and Washing machine. Apart from this Videocon offers scratch and win assured gift of steam iron, Videocon mobile, sunglasses etc. Nokia this time offers smart upgrade offer bring back your old phone and get brand new Nokia Lumai in exchange. Micromax funbook tablet bring free Tata Photon 3G dongal, Micromax company will pay initial amount of activation of data plan. Lenovo this time brings diwali offer of free accessories worth 2500 Rs/- on purchase of laptop. To make your diwali joyful TVS Star City brings diwali offer is Rs. 39,670 with solid 110cc CVTi engine. TVS is also providing this offer with free insurance or 0% interest rate. And it is also available at a down payment of Rs. 7,999. This diwali Maruti Suzuki also brings special offers on all cars. One can get the gifts of lakhs on the buying of Maruti Suzuki cars. In these gifts, Sony 32″ LED TV, Sony Handycam and Sony DVD Players are included. On buying of the car accessories, you can get Sony Digital Clock, Sony Xperia Mobile, Sony Home Theater Systems, Sony Multimedia Speakers or Shoppers Stop Gift Vouchers. Mantri Realty is giving 100 grams of gold on every booking between Navratri and Diwali for its projects in Mumbai. This means approximate discount of 3 lakh. Rustomjee group has launched rent back offer where builder pays rent to buyer for two years. For Urbania project Rustomjee is offering exclusive referral program. Refer a friend and get discount. Jain Group is giving away car parking worth 2 lakh free and also white goods worth 50,000 in its projects in Kolkata. Hope you will enjoy diwali offers mention in this article. If you come across any other discount of diwali offer do share with your friends by adding it in comment section!